Imagine this: you wake up to another beautiful morning in Hurst, TX, and you have a lovely breakfast with your family. You are planning the rest of your day and then you go to your garage and when you get into your car, you find that the garage door is jammed. This is a terrible situation to be stuck in, and you deserve to know there is a great solution available for these cases exactly. 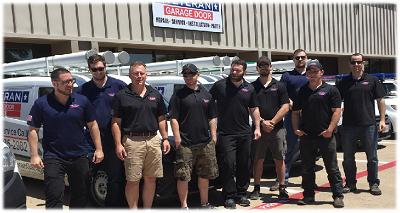 Residents of Hurst, TX should feel very safe about their garage doors and their functionality, when Veteran’s teams are out and about and ready to come to your aid. Veteran Garage Door Repair Service provides all kinds of services you might require for your garage door. You shouldn’t worry for parts you don’t have in your possession, as veteran’s teams are equipped with every single part and tool they might need when fixing your garage door. Veteran’s excellent teams are spread across your area in fully equipped service vehicles, and they will get to your home as fast as possible, from the moment you get in contact with the company. Veteran employs only the best of the best, so when you are expecting one of our teams to come and work at your garage, you can feel completely safe and rest assured the job will get done with maximum efficiency. So now that introductions are out of the way, you now know who to call when in need of garage door repair in Hurst, TX. When it comes to the variety of services we offer, you can expect Veteran’s team to be able to handle anything regarding your garage door’s perfect and smooth operation. Veteran offers repair services for a variety of problems including bent tracks, openers, noisy garage doors, bent sections, gear sprockets, door off track, garage door cables, broken spring replacement, broken roller replacement, sensors, broken hinge replacement, loose chain belts and much more.